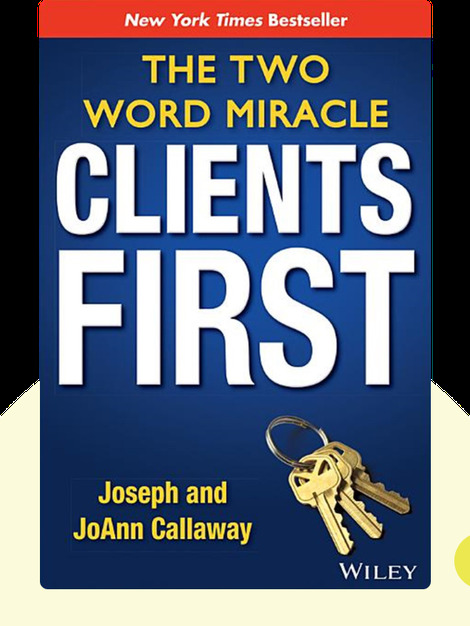 Clients First (2013) reveals how honesty, competence and compassion can become the keys to great success in your company by creating strong and trusting relationships with clients. The authors offer some excellent insights drawn from their own experience, having gone from flat broke to wildly successful real estate agents in just a few years. Joseph and JoAnn Callaway are real estate agents who managed to reach $1 billion in real estate sales in their first ten years of business. They have sold over 5,000 homes and give talks to various associations and groups from coast to coast. 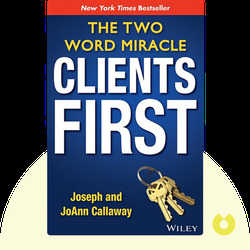 © Joseph Callaway and JoAnn Callaway: Clients First copyright 2013, John Wiley & Sons Inc. Used by permission of John Wiley & Sons Inc. and shall not be made available to any unauthorized third parties.